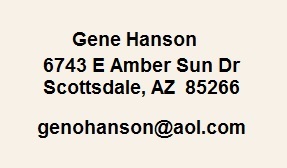 If you wish to contact us for questions, comments, etc, use the mailing address or the email listed below. If you send an email, we will always respond to let you know we received your message. If you get no response, assume we did not get your email so please try again!